When I was a teenager we used to go to a friend of my parents for supper quite often, and most times she made "cocacola chicken". I hadnt had it for years and suddenly I am craving it! So I searched for a recipe, then I searched for how to make it friendlier to the waistline. Unfortunately those who are staying away from Aspartame will have to use regular coke, or cola tonic with soda water. 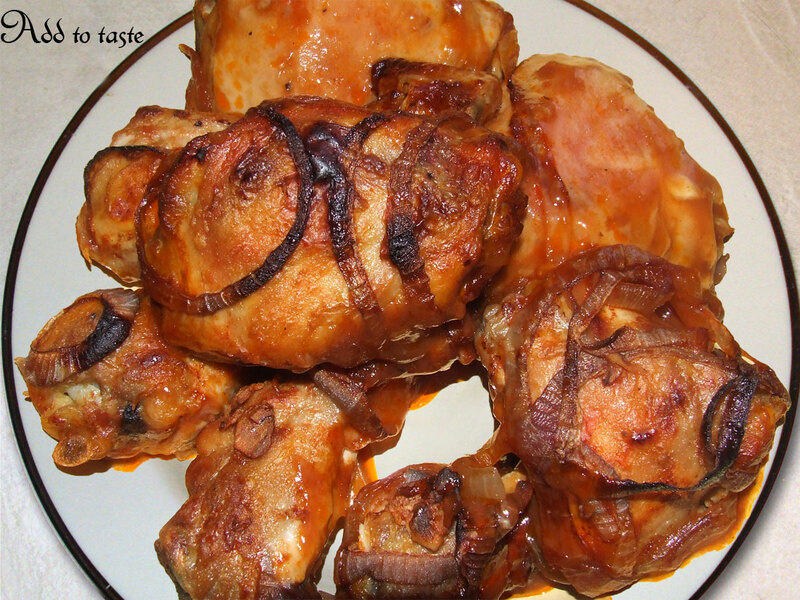 Layer the onion and chicken in an oven dish or tray. Serve with some boiled baby new potatoes or wild rice. My sister used coke in her braai marinade, I have never thought of using it like this - Great idea, thanks. The rumbling noise you're hearing isn't thunder in Cape Town, it's my stomach... I am SO making this tonight!